Why limit your affections for your Valentine to just one day? 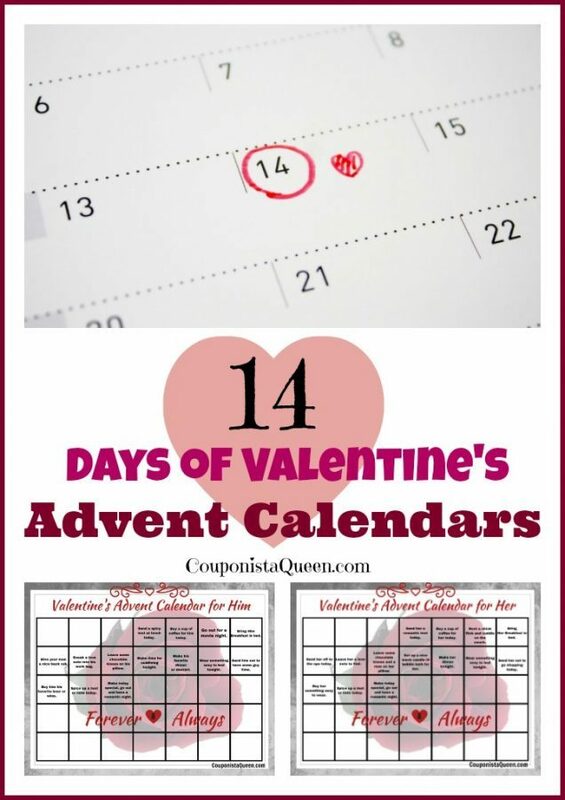 Make the lead up to Valentine’s Day special for your significant other with these great ideas on these FREE printable 14 Days of Valentine’s Advent Calendars. One for HIM and one for HER. Printable and just for you!, these are set up for 8.5×11 landscape printing.